LakePulse researchers work closely with scientists from provincial and territorial environment ministries, federal departments and agencies, and other organizations. Providing scenarios of future lake health. Assessing the costs and probability of lake degradation. Collaborating with organizations to advance lake management. Providing tools to monitor the success of new policies. 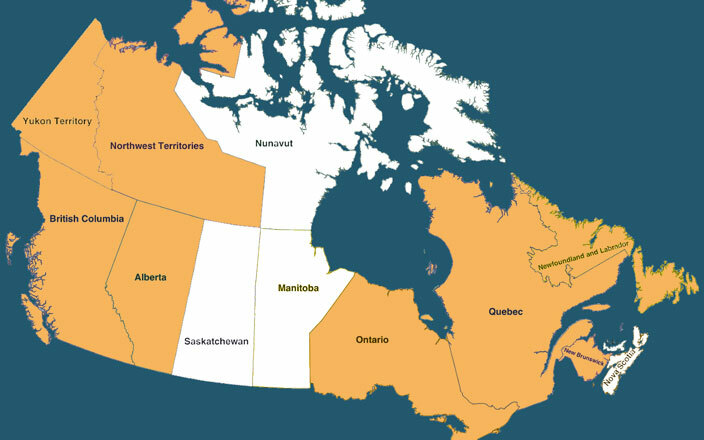 The LakePulse Web Atlas will offer interactive maps to assess the past, current and future states of Canadian lakes. We will also provide new tools for lake assessments ranging from genetic markers to remote sensing approaches. This will improve lake stewardship by our partners and produce new scientific knowledge about lake processes to support management policies. We will retrieve, from the archives of our partners, decades of data collected during their monitoring and research programs. These datasets will be added to our LakePulse Database, which will also include data from the 680 lakes sampled across Canada as part of the LakePulse Survey and data collected by community-based monitoring. Using our database, data for any lake can be compared to regional and national conditions. These comparative analyses can be used to examine the impact of land use or new policies on lake health. To serve our scientific program and the training of students. To promote future research and foster collaborations between universities and government. To provide everyone who cares about lakes with free and easily accessible information about lake health. For three summers (2017 to 2019), the LakePulse Survey will be sampling across provincial boundaries and along natural and land-use gradients. To carry out this large-scale sampling campaign, we are working with our partners, First Nations, municipalities, lake associations and other groups across Canada, who contribute their local expertise in sampling and logistics.